Dr Ho’s Massage System Infomercial – Where to buy? You may have seen Dr. Ho’s foot massage system Infomercial for muscle therapy, also known as the Circulation Promoter, and wondering about whether it is a good idea to buy it or not. In this post, I am going to share some general reviews and also explain how it works. Watch this video to see the infomercial. Do you suffer from back pain that keeps you up at night? Then a TENS and EMS device like Dr. Ho’s Foot Massage therapy system might appeal to you. But you may want to find out more about how these devices work and if this one will deliver the kind of pain-relieving effects you are looking for. What is the Dr. Ho’s foot massage system? It is a professional TENS and EMS device. TENS stands for transcutaneous electrical nerve stimulation. Most TENS machines are battery operated and designed to deliver small electric shocks muscles through sticky electromagnetic pads that can be attached to different muscles. This technology is not new. Proponents claim that ancient Egyptians used various forms of electricity to relieve pain. Some people claim that they help relieve their pain because it causes the muscles to relax. 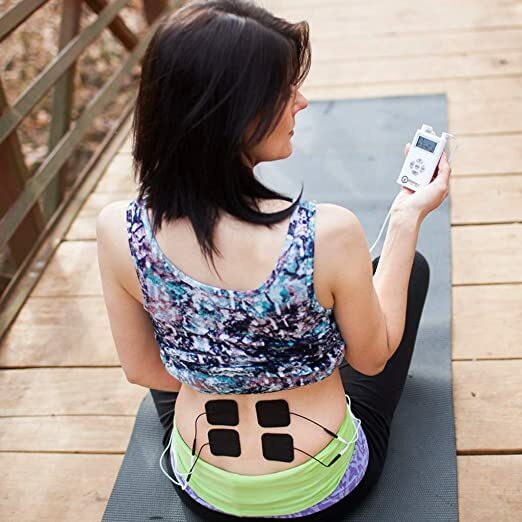 EMS is an abbreviation for electrical muscle stimulation. Electrical muscle stimulation devices are approved by the Food and Drug Administration for the treatment of muscle spasms and certain forms of muscular atrophy. Now that we understand what these are let’s get on with the business of deciding whether Dr. Ho’s Foot Massage System could be right for you or is it a scam. He describes the Circulation Promoter as a TENS unit. He also advertises other products in the infomercial. You may even have the Dr. Ho’s compression belt. So back to Dr. Ho’s Massgae system review. You simply place the foot pads flat on the ground. Sit down on a comfortable seat, whether on a sofa or a chair. And feel the electromagnetic waves flow up through your calves. These are described as “auto-modulated pain relieving waves”. They work by promoting circulation. In the infomercial, three Doctors, (Dr. Tabrizi, Dr. Rice, and Dr. Charles) who recommend the device to their patients say they do it primarily because it is a device that promotes circulation. In order to relieve pain, you have to restore circulation. Another claim made is that it can be used as a total body pain-relieving system. You attach some of the same sticky electromagnetic pads, called electro pads”, to your body, connect them to the device and you are supposed to get the same effect from the “automodulated pain relieving waves.”. This is supposed to relieve tension and again promote circulation thus relieving pain. Does it work? The real question is: Do TENS units relieve pain? Research published in the Hong Kong Physiotherapy Journal in 2003 states that for patients suffering from Rheumatoid Arthritis of the hands Conventional TENS resulted in no clinical benefit on pain intensity compared with placebo. Patients suffering from Knee Osteoarthritis reported some relief after TENS therapy. TENS had no significant effect in cases where it was applied for menstrual cramps or during labor. Well according to the reviews, many people say that Dr. Ho’s Circulation Promoter works. The main problem that most people had was that it was not rechargeable and required batteries to work, a fact that they did not bother to mention on the infomercial. This may be an issue if you were looking for a device that you could just plug into an electrical outlet and be ready to use it. The bottom line is, while there is not enough scientific proof that TENS devices work to relieve pain many people still swear by them. Where can you buy Dr. Ho’s Foot Massage and Muscle Therapy systems? You can buy it through the Dr. Ho’s website, at DrHoHelps.com or on Amazon.com. There is even a toll-free number that you can use to place your order: 1-800-214-3132. The Healthmate forever TENS unit – a hand-held electrotherapy device with 15 modes. Like the Circulation promoter, this is also a TENS unit. The pads are clearly labeled so you will know where exactly on your body you should place them for best results. This is a portable device that is said to be almost the same size as a credit card. It comes with 8 modes.